goddess of wealth and beauty, wife of Lord Viṣṇu. 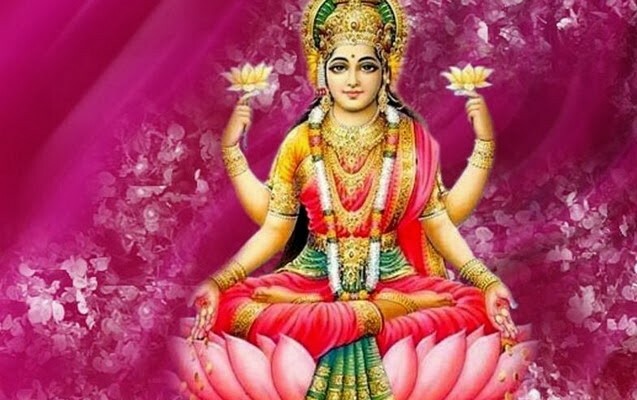 She was born during the “churning of the ocean”, the emergence of the world, holding a lotus flower in her hand. Hence her other name Padmā (lotus).